Our “Values in Action” series celebrates individuals and teams across all of MEDNAX who are living the Values of our company. We practice excellence by being accountable and holding each other accountable for our results. Clear roles, team leadership and individual ownership are the cornerstones of our continued growth and success. Accountability means taking responsibility for actions and outcomes. We do our best, yet we also focus every day on continuous improvement. We achieve this by asking the hard questions and setting realistic positive steps when improvements are warranted. For two MEDNAX-affiliated practices, a commitment to accountability has earned them 2017 Press Ganey Guardian of Excellence Awards. Achieving a Press Ganey honor is not an easy task. Health care providers across the country, including MEDNAX practices, partner with Press Ganey with the goal of “understanding and improving the entire patient experience.” Survey tools hand over control to the patients, allowing them to share their experiences with practices — the good and the bad — in order to help those practices succeed. Patient feedback and ratings compound over a year and the percentages determine the award winners. For a practice to be named an annual Press Ganey Guardian of Excellence recipient, it must score in the 95th percentile. With thousands of medical practices across the U.S., Pediatrix Cardiology of Broward and Rocky Mountain Pediatric Cardiology are two of only 220 health care practices to earn this 2017 distinction. The Press Ganey award is a tangible, hold-in-your-hand measurement of a team’s impact on patient experience. It is validation that the clinicians and support staff worked together to do the right things at the right time; they are not just meeting, but surpassing expectations. 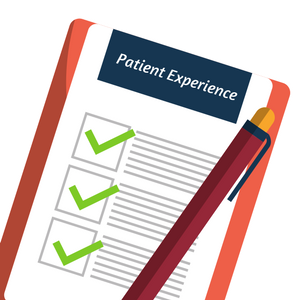 Overall patient experience relies on each individual on the team making individual impressions. “Was the appointment made correctly? That’s one person,” said Dr. Iskowitz. “Was insurance verified? That’s one person. How long was the wait time? That’s another person. It’s the whole process that makes it work. That’s why we have to be accountable to each other,” he said. The same is true for Rocky Mountain Pediatric Cardiology, where five physicians serve patients at two office locations in Colorado (Denver and Lone Tree), plus 10 outreach clinics in Wyoming and Nebraska. “Our practice is dedicated to communicating effectively with patients, referring physicians, and between our internal front office and back office. Every employee has helped create an environment that gives our patients confidence in our team,” said Roberto. Accountability depends on goal setting, monitoring progress towards meeting those goals and removing ego barriers that will impede progress, such as admitting to mistakes and learning the principles of constructive feedback. Both practices have mechanisms in place to ensure they remain accountable to patient experience. The teams understand it is rarely the patients with an average experience who take time to comment on surveys. 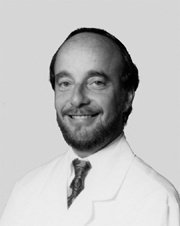 “It is someone who had a really great experience or sometime who didn’t,” said Dr. Iskowitz. When patients take the time to share a comment, that feedback is conveyed. “If it’s a rave review, we make sure that staff member hears about it. If it’s something we could do better, Lena or I go to that staff member or that physician, and we talk about it to understand what went wrong and how we can prevent the same issue in the future,” he said.